Is Baptism Necessary for Salvation? 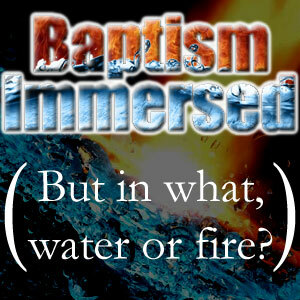 If So, Is It Water, or Fire Baptism? Is baptism necessary for salvation? The fourth requirement for salvation, out of the 5 listed in scripture, is baptism. This is seen in Mark 16:16, Acts 2:38, and Acts 22:16. Make no mistake, it is indeed a requirement. But this requirement isn’t normally taught properly. What is baptism, how is it done, when is it done, and with what is it done by? “Great,” I said, “which baptism?” The pastor of that church, as well as this young man, had already known that there was a question among many in the church about the subject. So it wasn’t hard for him to catch on that this was my sly attempt to dive into the subject. He glared at me and said, “My Bible says there is only one baptism.” I always think it is so funny when people say that their Bible says such and such, as though we are reading from different Bibles. This is what I want you to understand as well. When the Bible speaks of baptism it doesn’t always have to be speaking water baptism. There are many types of baptism. Notice Hebrews 6:2 uses the plural form of the word, indicating more than one type of baptism. Which type of baptism is required for salvation? That is the real question here. Is water baptism needed for salvation? Or, is there another type of baptism that is required? The word baptism itself means to be immersed. In other words, it means “to be covered by” something. You could literally be immersed in the dirt and it could be said that you were “baptized” in dirt. Of course, this isn’t what we see happening in the Bible. Water is the normal object that a person becomes immersed in. Though, as we already have shown there is more than water baptism. The first time we see the word baptism used is in the New Testament. But this isn’t the first baptism. As 1 Corinthians 10:2 said, there was even a time when the people were baptized as they left Egypt under Moses. So let’s ask a question here, … why did John use water to baptize people? 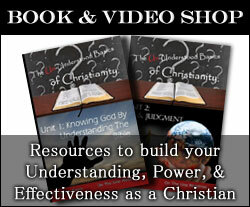 The simple answer is that God told him to, … but that doesn’t really answer the question of why, does it? The Bible speaks of some things being done as examples. Another word for an example can be a metaphor. Often, in the Old Testament, we see these kinds of metaphors. In fact, in 1 Corinthians 9:8-10 Paul mentions one of the laws concerning oxen as being a metaphor for us. Is it possible that the baptism with water is a metaphor for something else? Water itself can be a metaphor for many things. It can even be a metaphor for life since we need it to live. So when God turns the waters of Egypt into blood it could be an example of Him turning life into death for them. Exodus 16:6 even used water flowing out of a rock as an example of Jesus. There are many things that water can be a symbol of. But how do we know if water baptism is a symbol for something else, or if it is not? Well, the Bible tells us! In these 2 verses, we see the Bible tell us that water baptism is a “figure” or a “metaphor” for something else. Verse 21 tells us that it isn’t going under the water and having it wash over our body that saves us. It says that it is the answer of a good conscience toward God. Let me give some more verses to fully explain this. So the Bible is interpreting itself for us here. It is telling us that water baptism is not about the water at all. It is a symbol of our own death and resurrection. 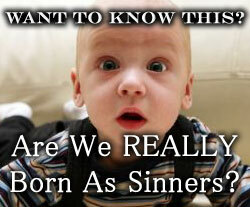 Remember in earlier units we spoke of being born again? Well, this is what water baptism is a symbol of. 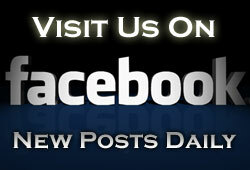 1 Peter 3:21 tells us that it is an answer (a statement) of a clean conscience toward God. This is why Jesus went to be baptized by John. It wasn’t because He needed to be cleansed. It was to “fulfill all righteousness.” A public statement had to be made that His conscience was clean towards God. This is the purpose of water baptism. It is a symbol in which we are making a public statement that we have renounced our sins and are clean before God. Water baptism is supposed to happen AFTER salvation. Acts 10:44-48 is an excellent example in scripture. It shows someone becoming saved before water baptism. It also shows that you do not have to be water baptized before receiving the Holy Ghost. The command to be water baptized is a command given for the purpose of making a public confession before men that you have become a Christian. This confession can only be true if you really have, though. Otherwise, the entire thing is nothing but a show, with no meaning. 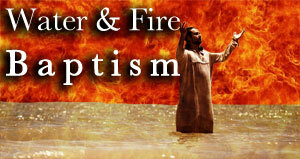 So we see people in Acts 10:44-48 and Acts 8:36-37 being saved and filled with the Holy Ghost BEFORE water baptism. This MUST mean water baptism is NOT the baptism that the Bible lists as being necessary for salvation. 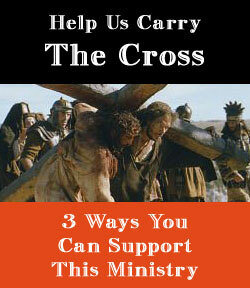 This case is made even stronger when you consider the thief on the cross in Luke 23:39-43. Jesus said he would be in paradise with Him that day. He did not exactly have the time or ability to run down to the river at that point. 3 Endeavouring to keep the unity of the Spirit in the bond of peace. 4 There is one body, and one Spirit, even as ye are called in one hope of your calling; 5 One Lord, one faith, one baptism, 6 One God and Father of all, who is above all, and through all, and in you all. This passage is speaking of unity. It tells us that these are the things that unite us. ALL Christians have these things in common. 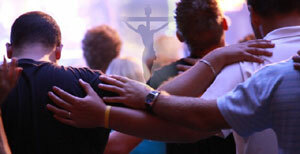 We are all a part of the body of Christ. We all believe in the Holy Spirit. We all have the hope of salvation. We all have Jesus as our Lord. We all have believed and acted on the gospel, for it is by grace through faith by which we are saved. And, we all have one God, our Father. There is one other thing that we all have in common that is listed here. We all have the same baptism. In other words, we have all been immersed into something, died to self, and been raised to new life. It isn’t too hard to figure out that Jesus was saying you needed to have new life breathed into your spirit. We needed a spiritual rebirth. But what was He talking about when He spoke of water? It’s interesting to note that He never mentions the water part again. He only dives right into the subject of the spirit. Could it be that when He is speaking of water and Spirit that He is actually talking about the same thing? This is actually the case here. The washing of water is a metaphor for the word and Spirit of God. It cleanses us, regenerates us, renews us, sanctifies us, and justifies us. So when Jesus says you must be born of water and of the Spirit He is saying you must be cleaned, regenerated, renewed, sanctified, and justified by the water of the word. That word is alive. That word is Jesus. The Holy Ghost is the Spirit of God. Jesus is God. 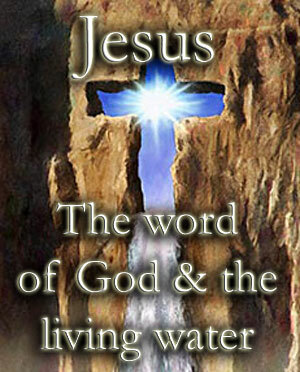 Thus, to be born of water is to be born through the word of God speaking life into your soul. Peter tells us that it isn’t water baptism which washes the body that saves us. It is the cleansing of our conscience by immersion into the Holy Spirit. He gives us the power to be free from sin and death by giving us new life in Jesus. So to sum this up, we now know that the requirement of baptism for salvation is not the baptism of water. It is the baptism of the Holy Ghost. This is the ONE baptism ALL Christians have. We are all immersed in the Spirit of God, which helps us to put the flesh under subjection as dead, and we now live new lives by the Spirit. 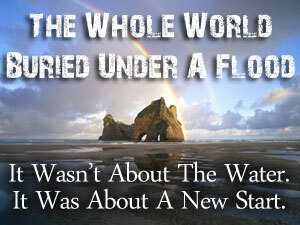 Water baptism does have a purpose, but it is not for salvation. It is for the purpose of making a public statement of your new life. Water baptism is not the requirement for salvation, though. There is A LOT more about the subject of baptism that we need to cover. For example, questions such as, “When does a person become baptized in the Holy Ghost?” The subject of the gifts of the Holy Ghost and evidence of being baptized must also be examined. We will be dedicating an entire unit to the subject itself, as it is one of the foundational doctrines. But for now, we will just answer one of these questions. When does the baptism of the Holy Ghost happen? It happens at repentance. We will talk about that in our next study.